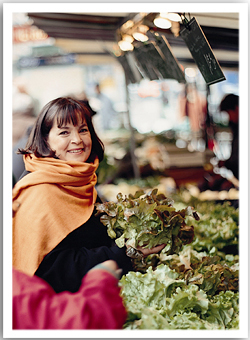 Like everyone else, in my dreams, Ina Garten and I are besties hanging out and her house having drinks, baking, eating and planning our next trip to Paris. While we wait for the invite, we have THIS...her incredibly decadent gluten free chocolate cake! Get the recipe HERE. Make it. Bake it. Thank Ina and I later--on the plane. 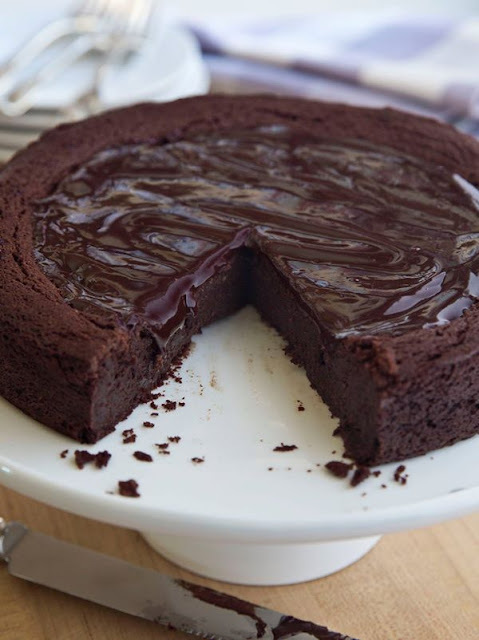 I make a similar cake, actually I have two versions: one is made with flour and the other is totally flourless. Both are yummy! With chocolate ganache icing.